I have found this great way to organize your kid's bedroom and their books in it. Of course, my favorite website had offered me this great idea where you'll be able to get motivated to apply this towards your kid's bedroom. 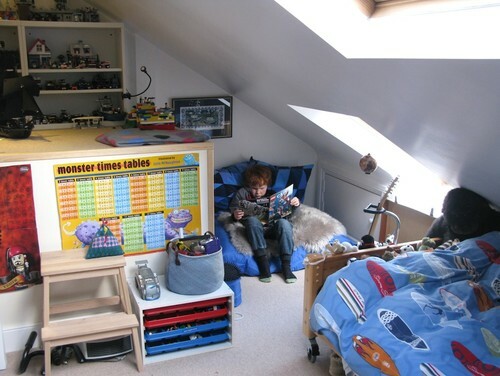 Save them more space and gives them more space where they read their favorite books. I do find this arrangement very sophisticated for everyone's eyes. You and your kids would love to hang out and stays more in their bedrooms.